The leeks I sowed in the greenhouse towards the end of last summer never got big enough to eat, but they did survive the winter and I left them there in the spring. In recent weeks they have been sending up flower heads and I was happy to let them, thinking it would be good to gather some leek seeds for the future. 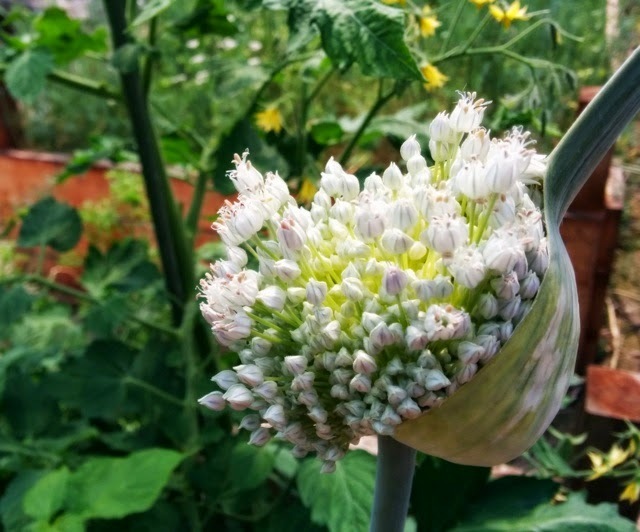 This was how the biggest flower head looked on June 6th. It's been ballooning every day since and today, finally, the flower head broke open.